Could you explain this to me conservatives? We currently have Republicans in control of all branches of the US government, and Republicans are supposed to be the party of fiscal conservatism. Republicans run each election cycle on the idea of smaller government and reduced government spending. So, if they are the government of reduced spending why is it that the deficit is going up under Republican rule? According to a recent report, "The U.S. government had a $147 billion (£110 million) budget deficit in May, an increase of 66 percent from the same month last year." So, now that Trump is in control of the white house and the Republican are in control of Congress, the deficit is going up. Why is this? Well, the last spending bill they passed increased spending instead of decreasing it. They massively increased military spending for example. But, they also did a nice big tax cut for themselves. 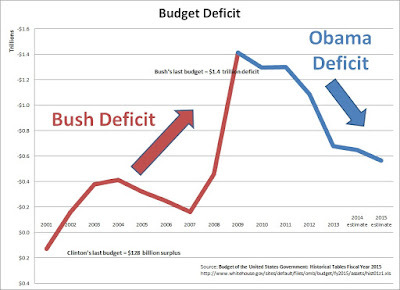 So, more spending, less money coming in, equals a larger deficit. I predict what is going to happen is the same thing that has happened so many times in the past. After many years of Republicans increasing the deficit, the Democrats will eventually win control of Congress back. They will reduce the deficit a bit, and then Republicans will gain power and increase it again, just has happened so many times over and over again in the past 50 years.